CoinTerra has just announced its official launch and, with this, is cutting the price of its TerraMiner IV product from $15,750 to $13,999. This is a 28nm design that is claimed to achieve 2 TH/sec. Tuur Demeester, an investment expert and investor in CoinTerra, told us the company has done this in response to “signals” from bitcoin miners. Further feedback from miners led CoinTerra to begin working on lower price mining devices in addition to the TerraMiner IV. In addition to the expected TerraMiner IV device, CoinTerra will be announcing its delay protection program. Firstly, the company expects to ship products by December 2013. However, if it does not deliver a confirmed December delivery within 30 days, CoinTerra will credit accounts with 20% extra hashing power. CoinTerra is also instituting an order exchange system whereby, if a customer needs to abort their order, the company will try to find another customer to take their place in the queue. There is also a price protection policy in place, so if the price of a given product is reduced, that reduction will apply to all undelivered orders too. Customers will have the option of taking a cash refund of the difference or having more hashing power added to their order. “With the launch of CoinTerra, our hope is that we can support the bitcoin community with not only the highest-performance ASICs and rigs on the market, but to further enable the bitcoin network itself with additional security and resilience thanks to the adoption of our bleeding-edge technology,” he added. “It’s not just about making a profit for us, we want to see bitcoin established as a trusted and secure solution for payment – and we intend to be the company that establishes that level of industry transparency and credibility with our customers,” Iyengar concluded. 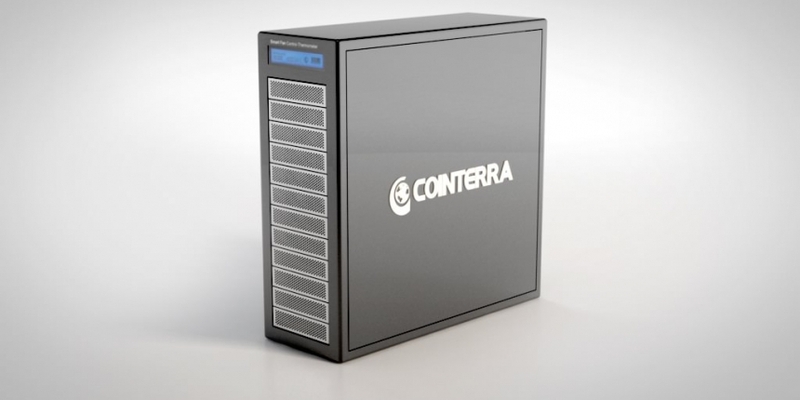 As part of its launch, CoinTerra also revealed a previously unannounced member of the team – Dr Timo Hanke. The German mathematician, who has 15 years of research experience, is CoinTerra’s lead cryptographer. He gave a presentation about the pay-to-contract protocol at the Bitcoin Foundation San Jose conference in May. CoinTerra claims it intends to increase the current bitcoin network power by 2 Petahashes per second, which is over four times the current capacity of the whole bitcoin network (487.50 TH/s according to Bitcoin Charts). According to our round-up of ASIC mining rigs, the TerraMiner IV is matched only by the Butterfly Labs Monarch in its power consumption per GH/s (the energy required to compute a billion hashes), which is due to the 28nm architecture of both chips. 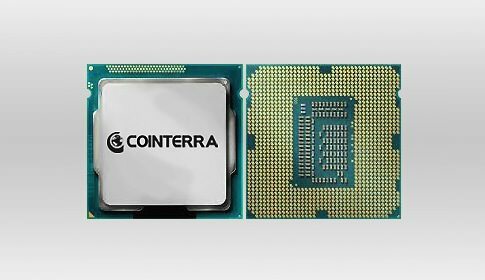 Earlier this month, Cointerra announced Open-Silicon as its “ASIC design and development partner”. Open-Silicon won’t do any of the chip design, but it will be ‘taping out’ the final design for Cointerra before it goes to fabrication partner and AMD spinoff GlobalFoundries, which is the same company fabricating the chips designed by Butterfly Labs. Find out about how bitcoin mining works and how to setup a bitcoin miner with our guides.